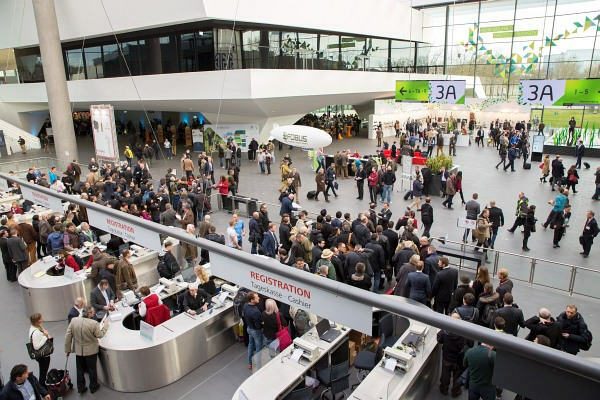 Our friend Vince Bottomley and the Target Shooter Magazine team from the UK is in Germany this week for the IWA Outdoor Classics trade show, aka “Euro SHOT Show”. 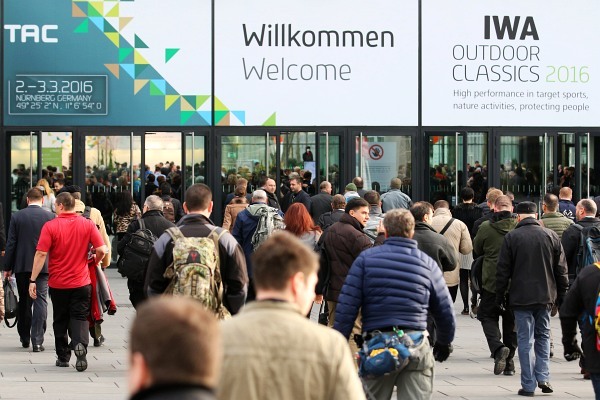 The big IWA outdoor Expo opened Friday in Nuremberg, Germany. Oh his first day at IWA, Vince already found some interesting products. 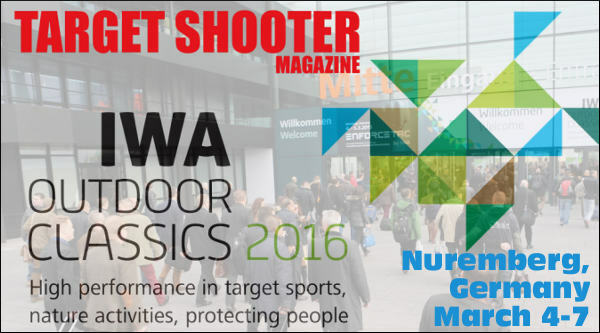 CLICK HERE for Target Shooter Magazine Report from IWA Show in Nuremberg, Germany. Here are a pair of German-engineered Turban reloading presses. Vince writes: “The [press] offered by Turban (Turban-cnc.de) is the ultimate. 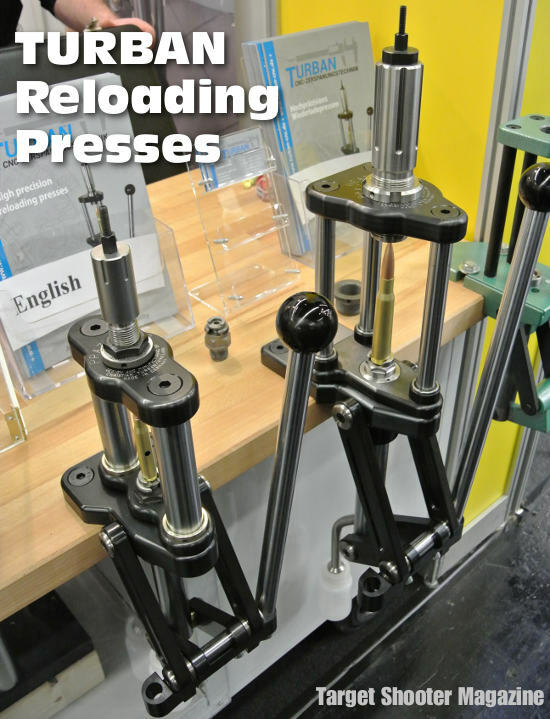 With this press you just wouldn’t want to stop reloading!” Turban makes presses for all sizes of cartridges. Look at the size of the die on the press on the right. Much like a Forster Co-Ax, the Turban’s priming system sends spent primers down a pipe to a cup. Vince also discovered a very high-tech, ultra-light-weight F-TR bipod that is mostly carbon fiber. This looks like it belongs on a Formula 1 car. Vince says the Talon Mark 7 bipod is “super light and strong”. We like the arm design, but the feet need to be changed out. Those curved feet are like the Gen One SEB Joy-Pod feet. We’ve learned that flat, wide, ski-type feet work better — recoil is smoother with less hop. 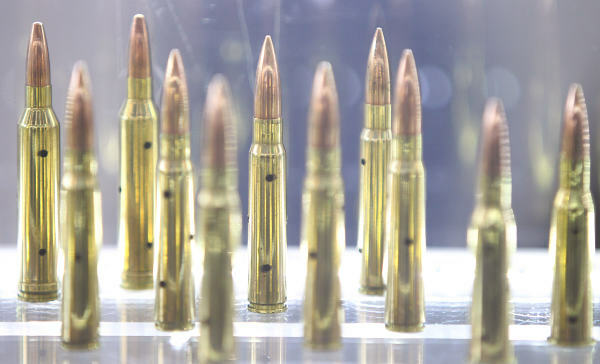 The longer, wider feet distribute rifle weight over a larger surface so you get less point-loading and less tendency to bounce with the energy pulse from each shot. 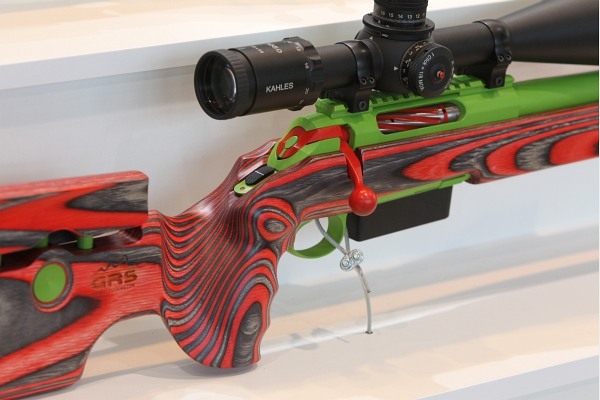 If you want to see all the guns and gear featured at the 2016 IWA show, visit the IWA Products Page on the web. 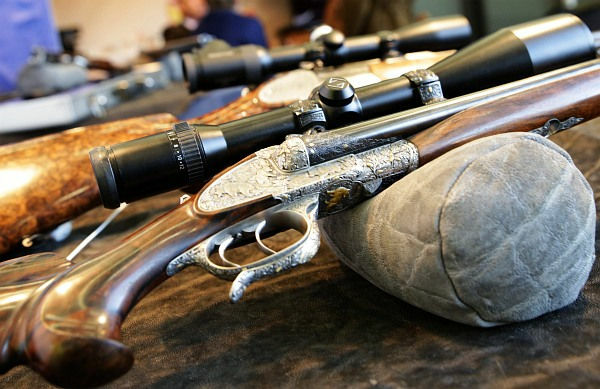 There you’ll find descriptions of 4944 featured products, everything from ballistics software to safari rifles. Click on the “New Products” link to see 569 featured new items. You can browse all new products, or Choose Product by Category. For the main product categories (Such as Guns, Ammo, and Optics), you can further search by subcategory (e.g. Guns > Rifles, or Optics > Rangefinders). Share the post "IWA Outdoor Classics Show in Nuremberg, Germany"
Keanu Reeves, the A-List Hollywood actor who starred in The Matrix, Speed, Point Break, and other hit movies, is a talented shooter. For his role in the popular John Wick series of movies, Reeves has done extensive training with our friend Taran Butler, one of the nation’s top 3-Gun competitors. Check out this video showing Keanu Reeves running through some multi-gun stages. The actor’s speed on target is outstanding, and his transitions are very fast. We’ve run some multi-gun matches in the past. Trust us, it takes a lot of training and dedication to get this fast. You also need good equipment. Share the post "A Movie Star Who Really CAN Shoot… Keanu Reeves"